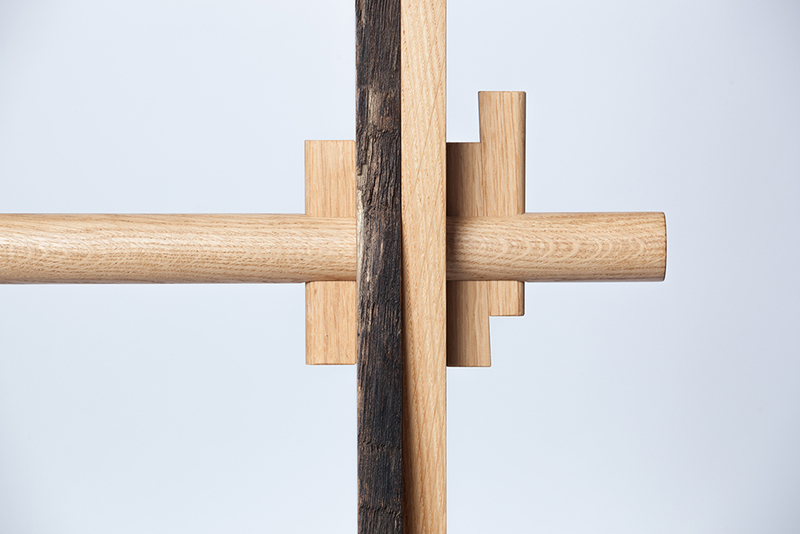 Traditional wood joints are a recurring theme in the work of Alexander Pelikan. 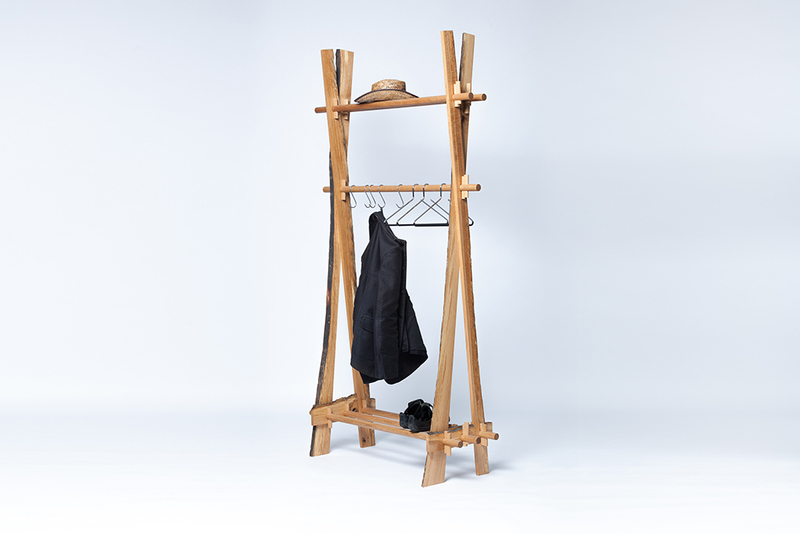 His CoatRack with simple wooden wedge joints is a fine example. 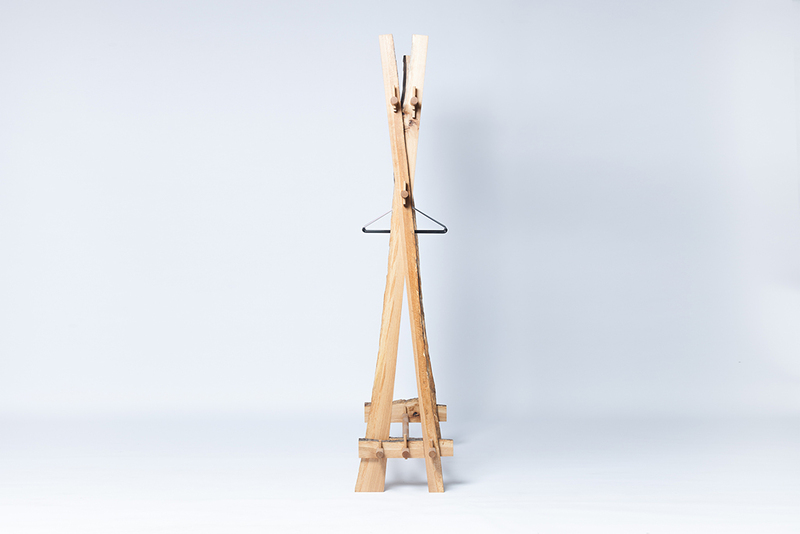 Planks that would otherwise be burnt (the so called sapwood) are used to make an elegant coat rack. The edges of the wood are raw. 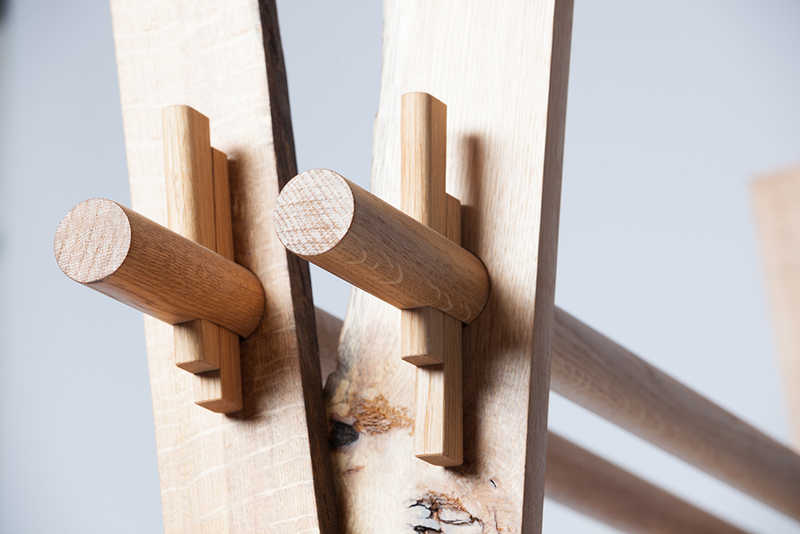 This raw part and the imperfections of the wood work as ornamentation. The shavings remaining after production are used by FungiFuturi to grow shii-take and oyster mushrooms. 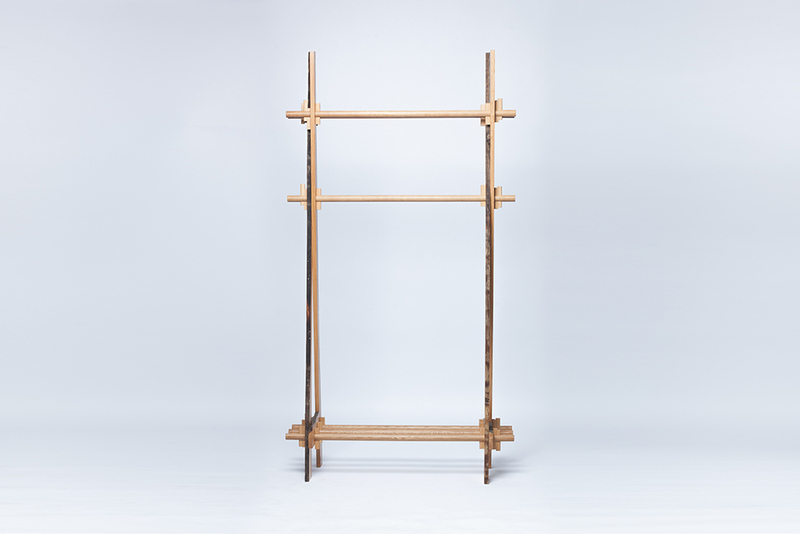 PeLiDesign uses European oak to build CoatRack (other sorts of wood upon request).